Description: The development of microelectronics, micromechanics, nanotechnology requires improved methods for measuring the linear dimensions of the elements of the topology of the chip, analysis of surface structures, and also requires measuring instruments, confirming the validity of the measurements of the dimensions of real objects and their elemental composition. Measurements of linear dimensions in the micron and submicron range by scanning electron microscopy today is considered one of the most accurate. It should be noted that the leading countries of the world, occupying key positions in microelectronics and implementation issues in the practice of metrology of linear measurements in micro-and nanometer ranges give paramount importance. Neezhmakov, K.P. 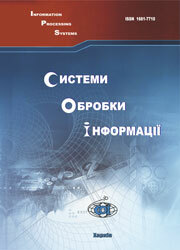 (2011), “Perspektivy razvitiia nanometrologii v Ukraine s ispolzovaniem rastrovykh elektronnykh mikroskopov”, Information Processing Systems, Vol. 6(96), pp. 181-184.